The state of the union food-wise is not good, says our favorite New York Times food columnist Mark Bittman. No kidding. That’s why it’s long past time for a National Food Policy. After all, 15% of Americans (that’s 46.5 million people) are subsisting on SNAP benefits (food stamps). And you can bet that most of them are not getting enough fresh, healthy food with their food stamps, and that many suffer from, or are at fisk of, costly diseases that can be caused by poor nutrition: obesity, Type 2 diabetes and hypertension. Come to think of it, Bittman says, many of our domestic challenges are connected one way or the other with food. Get antibiotics out of our food supply. Tie reducing greenhouse gas emissions to reining in the industrial production of animals for meat. Support strong front-of-package food labeling. Defend the menu labeling mandated under the Affordable Care Act. Increase financial support for farmers, businesses and organizations that produce and distribute fresh, healthy, local food. Decrease subsidies and incentives to farmers, businesses and organizations that produce, advertise, and distribute unhealthy food, especially to children. Increase the minimum wage of food workers for farms, food processing plants, restaurants, grocery stores, etc. It’s a start. 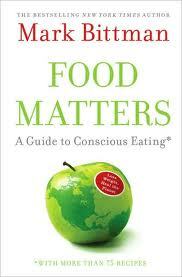 To read the rest of Bittman’s thoughtful comments on national food policy, click here. Feel free to share your recommendations. For most foodies the Triangle is a locavore paradise teeming with family farms, fresh markets and seasonal cuisine. But despite this cornucopia, more than 16 percent of our regional neighbors (276,000 adults and children) are considered “food insecure.” Struggling to make ends meet, they know what it means to be hungry. Many rely on cheap processed food that is high in fat and sodium. And that increases their risk for Type 2 diabetes, hypertension, obesity and other costly ailments related to poor diets. Farmer Foodshare is breaking new ground to tackle this paradox of hunger in a land of plenty. The Durham-based nonprofit has established a centralized food hub called the POP (Pennies on the Pound) Market. 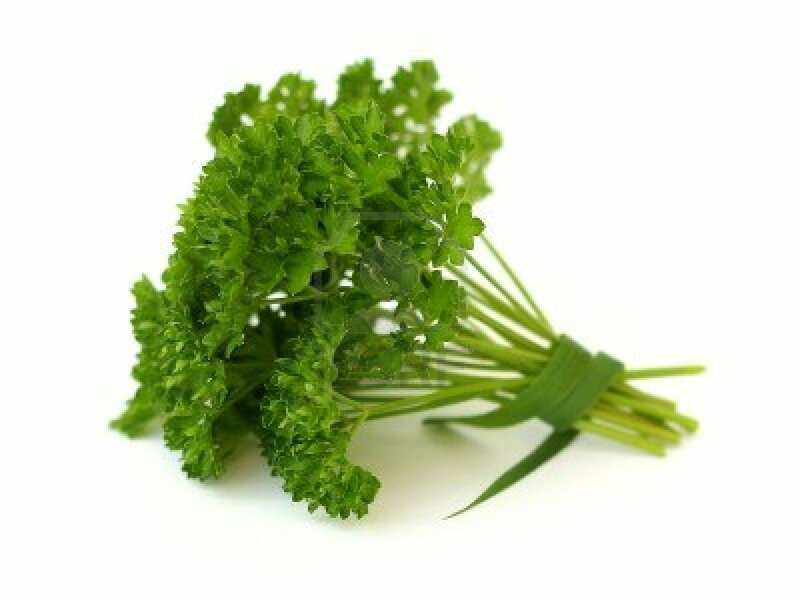 Its staff and volunteers purchase fresh food wholesale from local farms, then sort and deliver it at affordable :prices to an impressive web of local organizations that feed some 24,000 hungry people annually. The idea is to strengthen local farms and local communities by providing new outlets for farmers and a convenient source of fresh healthy food for people who need it. 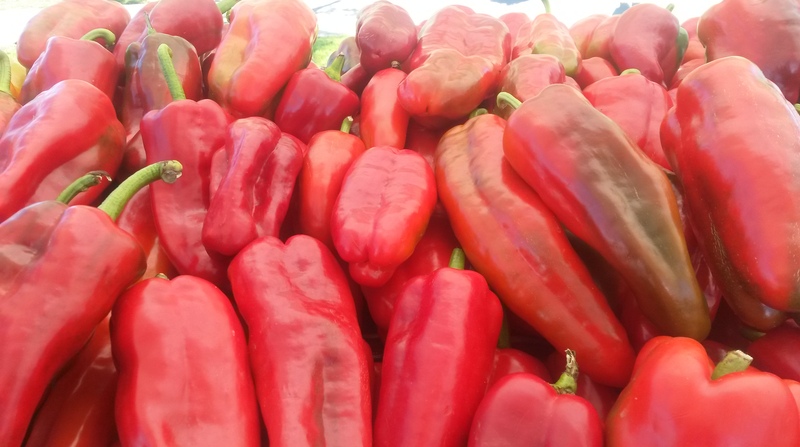 “Our goal is to keep it affordable for the food agencies, while ensuring that the farmers are getting a good price,” said POP Market manager Karla Capacetti. That’s a tall order, which requires balancing tight schedules and budgets to meet the needs of a complex network of partners. The POP Market taps about 43 small-to-mid-size farms across 17 counties, and 25 local food banks, senior centers, preschools and other agencies feeding Alamance, Chatham, Durham and Orange counties. The POP Market provides the efficiency, agility and “glue” needed to acquire and transport fresh food expeditiously to a diverse array of customers. Twice a week, Karla e-mails, texts and calls the farmers to find out what they have available. Then she e-mails a list to the food agencies, which have 24 hours to complete their orders. She assembles purchase orders and invoices, then e-mails them to two drivers, and gets them on the road to quickly pick up the bulk food from the farms, transport it to Farmer Foodshare to be sorted for customized orders, and re-load it into the van for direct delivery to the food agencies. Together, the POP Market and its partner farms and agencies are now providing fresh local food to at least 500 people every week, year-round. “It’s great to have all of this fresh food going to hungry people,” said Karla. Since its formation in 2012, the POP Market has spent more than $150,000 with local farmers, and delivered 110,000 pounds of healthy food to local organizations. The program’s reach is growing rapidly. Since the beginning of this year alone it has purchased $83,000 from local farmers and delivered 60,000 pounds of food to local communities. 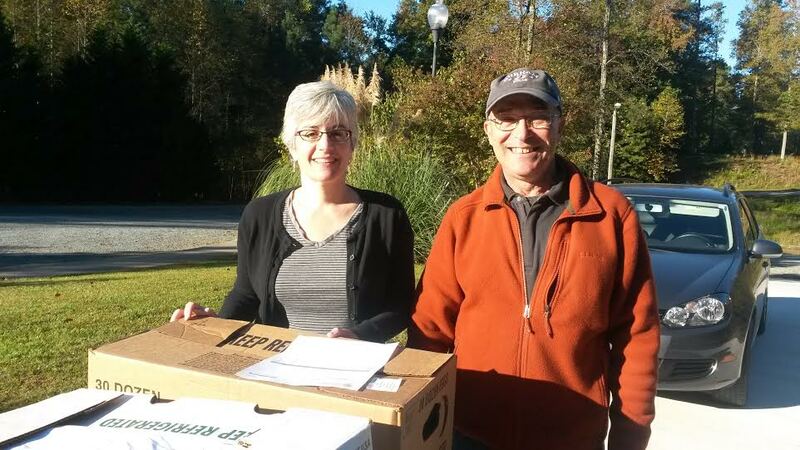 Jerry Levit, a volunteer and retired farmer and realtor, was delivering farm goods to seven agencies spanning three counties. By 9 am he had picked up produce from Farmer Foodshare and delivered the customized orders to Child Care Services and Chapel Hill Daycare. I caught up with him at Evergreen United Methodist Church in north Chatham, which houses the Take and Eat Food Pantry. The pantry, supported by six local churches, provides groceries for 30-40 families per week. Jerry went on to deliver more fresh food to four other partner organizations that day, including Sonder Market, a new student-run produce stand at UNC; the Inter-Faith Council Food Pantry in Carrboro; nearby Club Nova, providing mental health support programs; and Child Care Services in Durham. 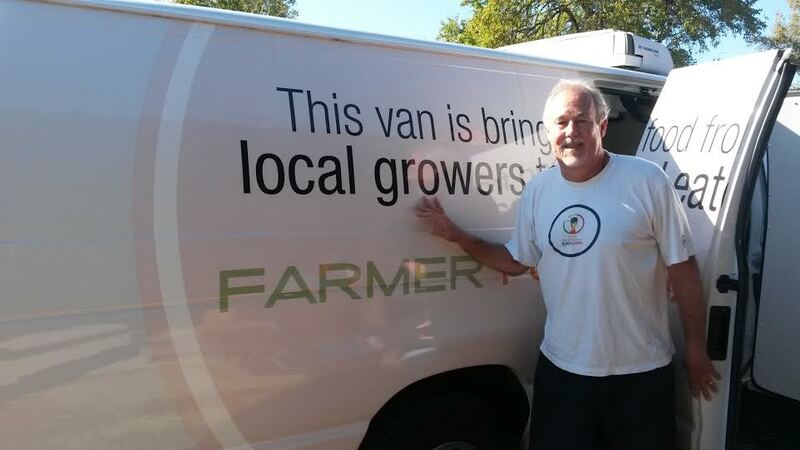 Jerry likes supporting farmers and helping them expand their reach to needy customers. “We’re committed to strengthening sustainable agriculture and feeding the people,” he said. The following day I rode with Ryan Cribbins, a part-time POP Market employee who has retired from a long career at RTI International. We drove to the State Farmers’ Market where we picked up fresh produce from three growers: Cox Farms in Goldsboro, Wise Farms in Mt. Olive and Jones Farm in Snow Hill. Then we drove to Lyon Farms in Creedmoor. In just three hours, Ryan had filled the van to capacity with about $1,200 worth of squash, sweet potatoes, strawberries and grapes. The farmers were pleased. Robbie Cox drove a front loader with more than $500 worth of produce over to the Farmer Foodshare van, including a dozen boxes of cucumbers, five bushels of yellow onions, two bushels of red bell peppers and a big box of broccoli. Back at Farmer Foodshare’s warehouse, Ryan unloaded the van, then labeled boxes for next-day delivery to four partner organizations: Veggie Van, a local mobile market; TABLE, feeding school children; Panda Packs, providing week-end food for hungry students at Pittsboro Primary School; and the Interfaith Council Food Pantry in Carrboro. Most of its neighbors can’t afford to dine upscale downtown. And there’s no supermarkets nearby where they can find healthy groceries for their families. Urban food deserts typically rely on fast-food joints and convenience stores, where calories are cheap but not necessarily nutritious. That’s a recipe for the growing incidence of obesity, Type 2 diabetes and other costly ailments related to poor diets. Hoke Street turned out to be an ideal location for the urban farm and training center for Inter-Faith Food Shuttle, the anti-hunger nonprofit serving Raleigh and seven surrounding counties for the last 25 years. The new three-acre site now includes community garden beds for residents wishing to grow their own produce, and an urban farm and training center for interns learning to cultivate and sell healthy food. 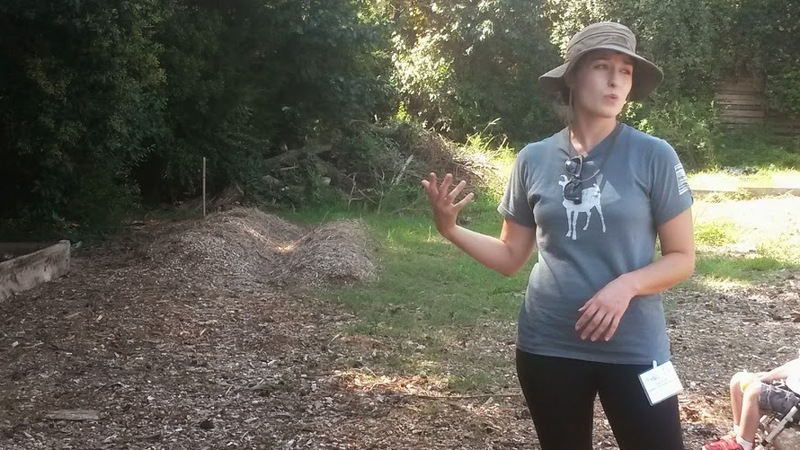 “We set up this space so people could see how food is grown, and grow it themselves” said Katie Murray, who coordinates IFFS urban agriculture training programs. We visited during the Carolina Farm Stewardship Association’s annual farm tour. 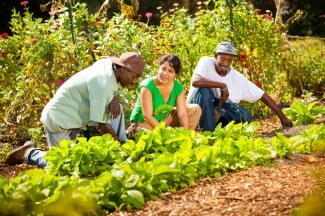 Half a dozen families are growing vegetables in the new IFFS community garden. And there’s an open raised bed for curious neighbors who want to taste what’s sprouting — red leaf lettuce when we visited. IFFS also has cultivated a partnership with Will Allen, the now-famous MacArthur Foundation “Genius” Fellow behind Growing Power, the organization teaching young people around the country about innovative sustainable practices for urban farming enterprises. IFFS has four interns through the program, working at the Raleigh farm and learning about composting, vermiculture, aquaponics, hoop houses, mushrooms, micro-greens and more. “The goal is to grow food here and sell it through local farmers’ markets and to restaurants,” Murray said. The interns are gaining experience to develop their own small enterprises through a collaborative local alliance. The farm is adjacent to a 14,000 square-foot warehouse, where IFFS stores local food gleaned from farms and delivers it to neighborhoods through its mobile market program. The IFFS warehouse also serves as a community grocery store during a monthly market on fourth Fridays. Inter-Faith Food Shuttle also has a Teaching Farm on Tryon Road, with incubator plots for those ready to start their own farming enterprises. Invite a dozen local farmers to harvest more than a thousand pounds of peppers, pork and produce. Urge two dozen creative chefs, brewers and distillers to concoct special nibbles and swigs. Blend with live music and games. Add in sun and blue sky. Those were the magic ingredients that drew more than a 1,000 hungry, thirsty revelers to the seventh annual Pepper Festival. It was a memorable Sunday afternoon at Briar Chapel’s new Great Meadow neighborhood, and another opportunity to celebrate the heat and light sown by one amazing foodshed. That’s what the Pepper Festival is all about. And Abundance NC, WUNC, Briar Chapel and other community sponsors delivered once again. 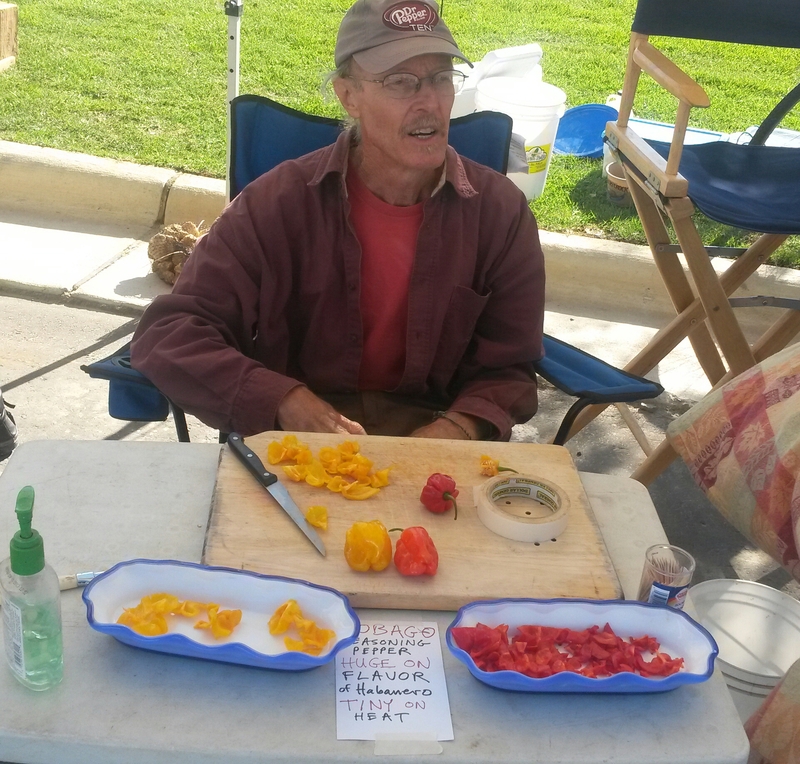 Pepper Fest originated in tiny Pittsboro as a taste test for new localized pepper varieties adapted by Doug Jones, the genius cultivator behind Piedmont Biofarm. The celebration has grown into an annual harvest, cooking and brewing rite. This year’s Fall ritual featured Jones’ Tobago, described as a “seasoning pepper, huge on flavor (not unlike Habanero), but tiny on heat.” In other words, delicious and digestible. Tobago flavored the secret sauce pleasing palates all afternoon at food booths circling the meadow. We tasted peppers everywhere. 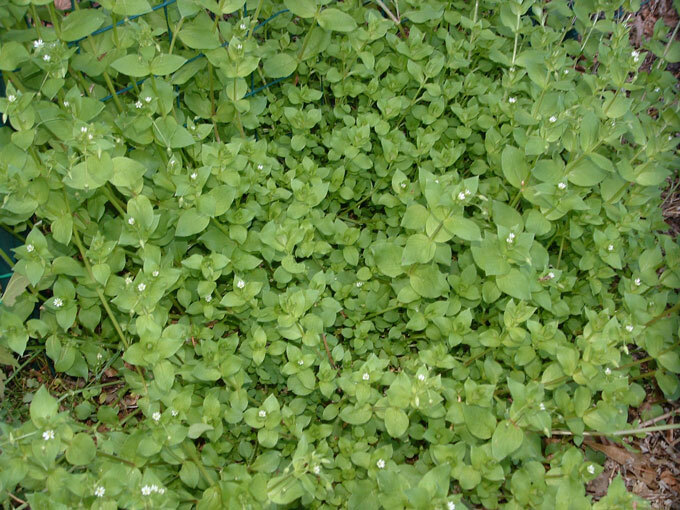 We found them pureed, sauteed, chopped and blended. They seasoned pork and polenta, sausage sliders, beefy snacks, and spicy soups. Even the local brews, wines and spirits were pepper-infused, which turned out to be a pleasant surprise. Emcees Eric Hodge of WUNC Morning Edition and Bryan Welch of the Utne Reader kept it real on stage. Phil Cook and Christy Smith provided a mellow mix of live original tunes. And we applauded the new Pepper King and Queen (Phil Cook and Kristy Yule), for selling so many festival tickets. As always, the real stars were the farmers and chefs who served up fresh, inspired fare, and the festival-goers who ate it up. Piedmont Biofarm, Bennett Farming, Dutch Buffalo Farm, Fiddlead Farm, Gladstone Acres, Granite Springs, Okfuskee Farms, Penny Lane, Dog Day, and Screech Owl Greenhouse. And 518 West, Angelina’s Kitchen, Cackalacky, CCCC Natural Chefs, City Tap, Cottage Lane Kitchen, Fair Game Beverage, Fearrington Granary, Fiction Kitchen, Galloway Ridge, Glass Half Full, Green Planet Catering, La Residence, Lilly Den, Little Hen, Lucky 32, Mystic, Oakleaf, Provence, P.G Werth, Small Potatoes, Top of the Hill, Tribeca Tavern and Vimala’s Curryblosson Café. Local chicken farmers have faced hard times since Townsend, Inc. filed for bankruptcy four years ago and closed its poultry processing plant in Siler City, NC. But now a Moore County start-up may have good news, especially for growers able to fulfill contracts to raise organic, non GMO poultry. Carolina Premium Foods plans to invest $4 million to renovate the former Townsend plant in Siler City, re-opening a new organic processing facility in about five months. They hope to process up to 200,000 birds per week there, providing about 150 jobs in the first phase and more than 350 jobs in the next phase, according to company spokesperson Sonya Holmes. The company has received a $750k grant from the North Carolina Rural Infrastructure Authority to develop the plant. The new 95,000 square-foot facility could be the first organic poultry processor of this type — focusing on smaller, non-GMO, organic birds — in the state of North Carolina. 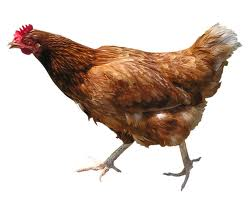 Farmers interested in new organic contracts may contact Holmes at 910-984-5309.